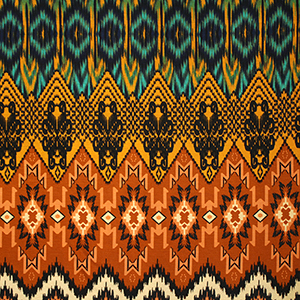 Amazing colors and designs in this print! 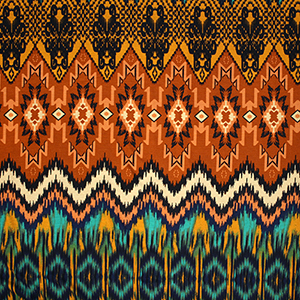 Mustard yellow, teal green, black, and more earthy colors with a mix of chevron, aztec, and navajo emblem ethnic inspired design on a super soft cotton rayon spandex blend knit. Fabric is lighter weight, with a lovely drape and hand. Repeat measures 22" (see image for scale).